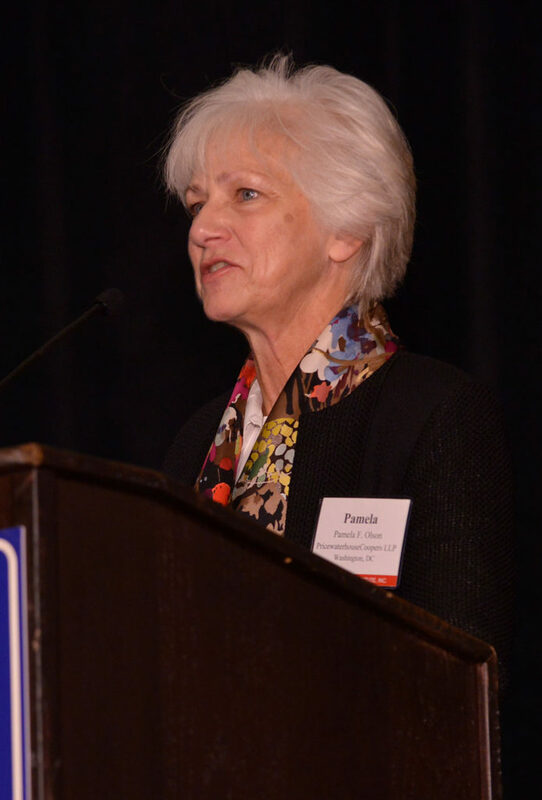 Pamela F. Olson (PricewaterhouseCoopersLLP) gave the keynote address, “Transparency & the Tax Business Community,” that kicked off the technical programming. Tuesday evening’s reception, with food from the neighborhoods of Philadelphia, provided an opportunity for attendees to reconnect with friends and continue to build their networks. 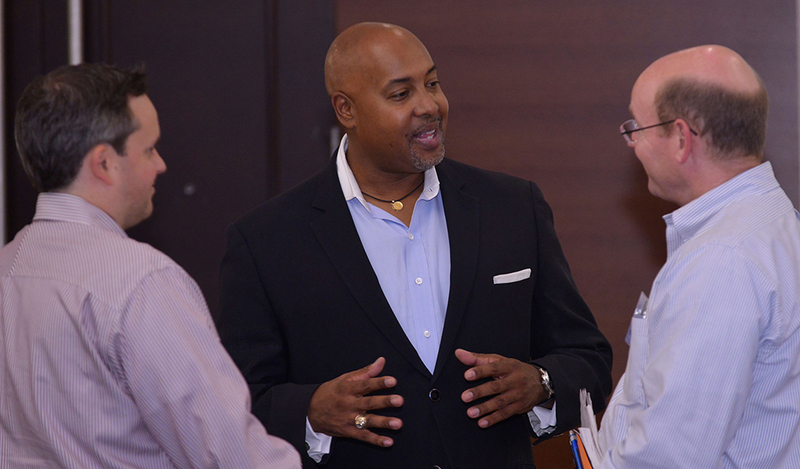 TEI board member Wayne Monfries (center; Nike, Inc.) discusses workplace challenges and best practices with fellow in-house tax professionals. 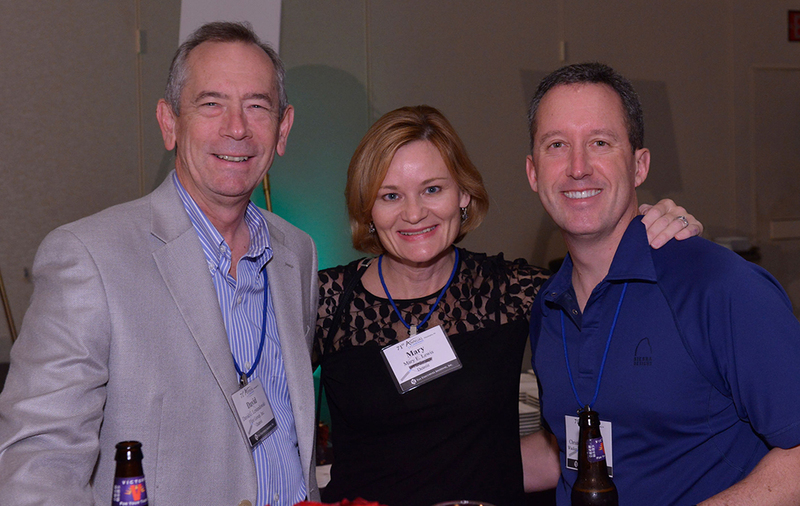 Between education and networking, Nick Hoven (Reinsurance Group of America Inc.) had such a positive experience at the Annual Conference that he joined TEI soon after attending! 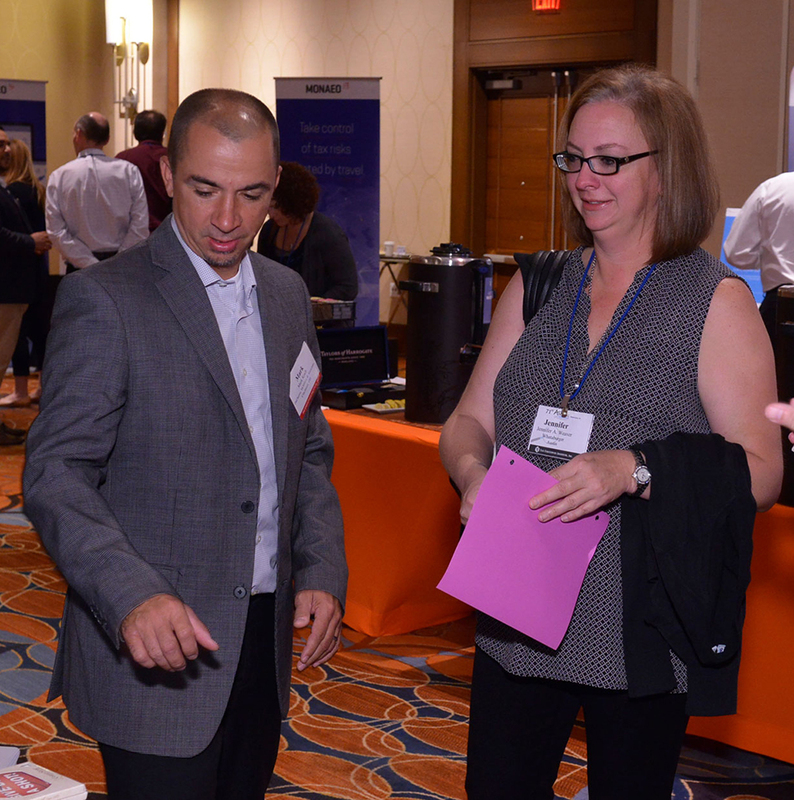 Attendee Jennifer Weaver (Whataburger) takes advantage of a coffee break to visit with representatives of Gold sponsor DuCharme, McMillen & Associates Inc. Implications of Section 385 were a key topic at the conference. 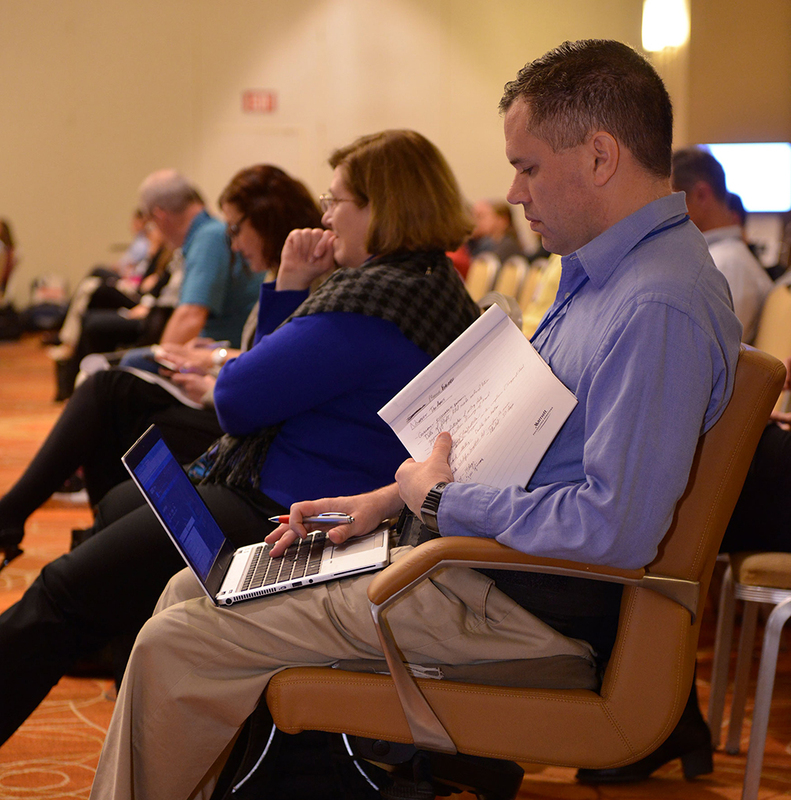 Attendees had the opportunity to attend several sessions covering various aspects of the regulations, which were released just days before the conference began. 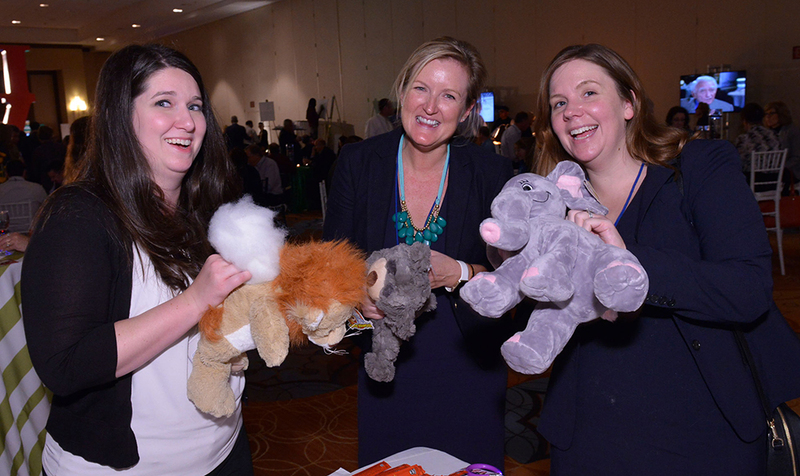 During the reception on Tuesday evening, conference attendees assembled 125 stuffed animals and donated them to Children’s Hospital of Philadelphia (CHOP). “Some of the children we see have never had a stuffed animal of their own, and these truly mean the world to them!” a social worker at CHOP said. 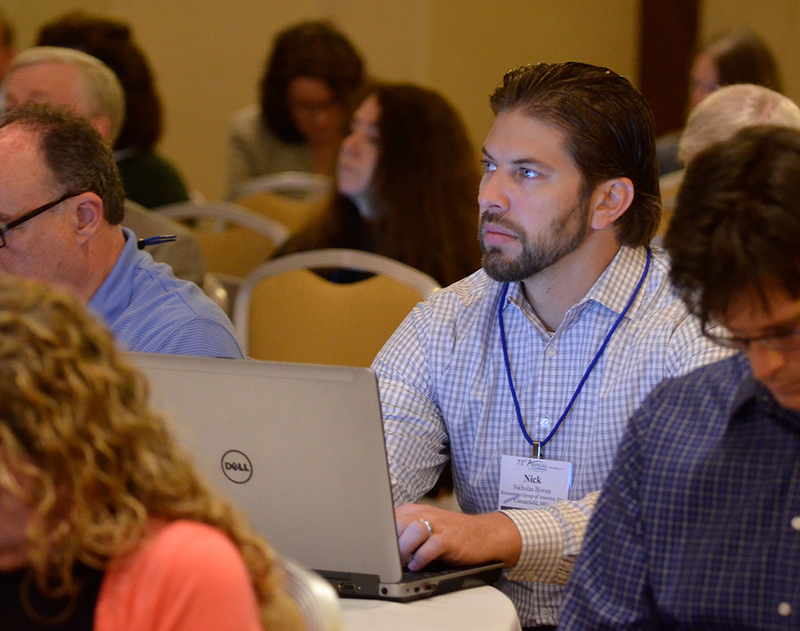 One of the most popular recurring sessions at TEI conferences is the Tax Technology Roundtable. 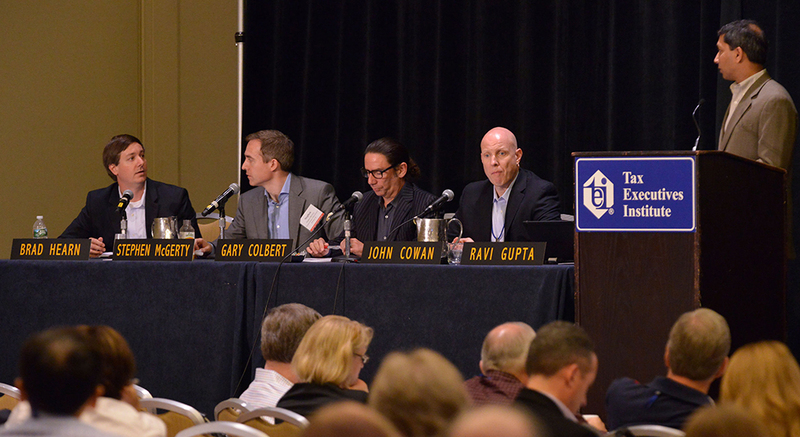 The panel did not disappoint at the Annual, speaking about the top ten challenges facing tax departments. Contributors are pictured from left to right: Brad Hearn (Longview); Stephen McGerty (Thomson Reuters ONESOURCE); Gary Colbert (Corptax Inc.); John Cowan (Vertex Inc.); and Ravi Gupta (Deloitte Tax LLP, who moderated the session.